On his HBO show, "Real Time with Bill Maher," Maher created one of his new rules for Glenn Beck. 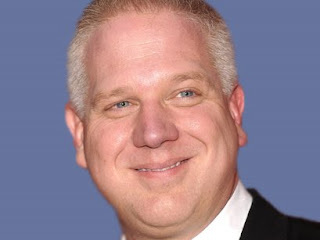 Beck recently gave a riveting speech at the Christians United for Israel Summit. In the preview clip below, Maher takes issue with Beck for proclaiming during that speech, "Count me a Jew and come for me first." Actually, there are many Jews who have taken issue with Beck's anti-Semitic rants on his Fox show, and two of them were republished on the Review here and here. Beck seems to have a fixation with becoming a martyr. He has talked about shooting him in the head, and now he's telling anyone, who wants to kill Jews, to come after him first. Hopefully Beck will not get his wish and, instead, fade away into the darkness of time as a commentator too controversial, even for a channel dedicated to right wing propaganda. "Real Time" airs Fridays at 10:00 p.m. EST on HBO.